It seems in vogue to split your company in two. Kraft Foods Inc. was the latest food & beverage company to announce that intention, declaring on Aug. 4 plans to split into a $16 billion North American grocery business and a $32 billion global snacks business. Think of the former as Kraft-General Foods and the latter as Nabisco-Cadbury-Jacobs Suchard. Some analysts were adding the adjectives “low-margin, slow-growth, purely” North American grocery business and “high-margin, fast-growth, international” snacks business. The former would include Kraft Macaroni & Cheese, Maxwell House coffee, Oscar Mayer lunch meats and Philadephia cream cheese. The latter would feature Oreo cookies, Trident gums, Cadbury chocolates and Jacobs coffee. "We have built two strong, but distinct, portfolios,” Chairman and CEO Irene Rosenfeld said in the announcement, which was made in tandem with the company’s second-quarter earnings release. “Our strategic actions have put us in a position to create two great companies, each with the leadership, resources and strong market positions to realize their full potential. The next phase of our development recognizes the distinct priorities within our portfolio. The global snacks business has tremendous opportunities for growth as consumer demand for snacks increases around the world. The North American grocery business has a remarkable set of iconic brands, industry-leading margins, and the clear ability to generate significant cash flow." The company expects to create these companies through a tax-free spin-off to current shareholders, possibly by the end of 2012. The Chicago Tribune reported both companies are expected to be headquartered in Chicago. The company’s announcement notes “Over the last several years, Kraft Foods has transformed its portfolio by expanding geographically and by building its presence in the fast-growing snacking category. A series of strategic acquisitions, notably of LU biscuit from Danone and of Cadbury Plc, together with the strong organic growth of its Power Brands, have made Kraft Foods the world's leading snacks company. At the same time, the company has continued to invest in product quality, marketing and innovation behind its iconic North American brands, while implementing a series of cost management initiatives. As a result, the company has delivered strong results in very challenging economic conditions. + Each business would focus on its distinct strategic priorities, with financial targets that best fit its own markets and unique opportunities. + Each would be able to allocate resources and deploy capital in a manner consistent with its strategic priorities in order to optimize total returns to shareholders. + Investors would be able to value the two companies based on their particular operational and financial characteristics and thus invest accordingly. Global snacks will consist of the current Kraft Foods Europe and Developing Markets units as well as the North American snacks and confectionery businesses. Approximately 75 percent of revenues would be from snacks around the world, and approximately 42 percent would come from developing markets, including a diversified presence in numerous highly attractive emerging markets. The non-snacks portion of this portfolio would consist primarily of powdered beverages and coffee, which have a strong growth and margin profile in developing markets and Europe. Key brands, other than those mentioned earlier, would include LU biscuits, Milka chocolates and Tang powdered beverages. The North American grocery business would consist of the current U.S. 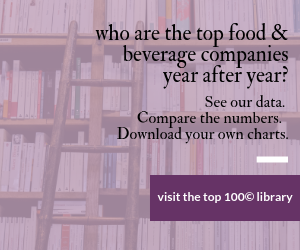 Beverages, Cheese, Convenient Meals and Grocery segments and the non-snack categories in Canada and Food Service. Additional key brands would include Capri Sun beverages, Jell-O desserts and Miracle Whip salad dressing. As we said, splitting up has become a popular strategy lately in food & bev. Ralcorp in July announced plans to spin-off its Post cereals business; Sara Lee is splitting into an international coffee and tea business and a North American meats and foodservice businesses; and Fortune Brands is close to finalizing its split into Fortune Brands Home & Security (primarily golf products and lock sets) and Beam Inc., so named for its leading brand of liquor.